New Leaf Mentoring … new thought. new health. new life. You are infinitely, simply, abundant. I bet you forgot. You are 50 trillion cells regenerating life force energy every second of every day (Dr. Bruce Lipton), a flowing, glowing body of bio-electric magnetic energy that actually emits light! Amazing! Furthermore, you are a holographic part of a flowing, breathing, pulsating Universe that creates life in every moment. AND…You are a co-creative force of energy, observing, designing and creating life by the nanosecond! Magnificent! I’m not making this up…it’s fact! So why do you feel a lack of abundance? Not only are you a part of all abundance that exists, you are also the designer and creator of that same abundance. You do it naturally, easily, quickly and infinitely. So what’s your problem? You can never create something out of nothing. Energy can’t be created or destroyed – in physics this is known as the Law of Conservation. All the energy that is will always be; there will be nothing more or less, and since everything is simply energy in various states of vibration we can assess what we have. Energy does however change states! This is the Law of Thermodynamics. By applying heat and pressure we can change the state of energy until it actually changes form – this does not only apply to water and ice! This applies to every single notion you dream up! If you want to engage in the law of change as a conscious player you need to learn to become the Alchemist and learn how to spin straw into gold. Negative energy will and can be transformed into positive energy, thought into form, loss into gain and lack into abundance. These are changes of state! States of mind, states of reality, and states of being. It all begins with a change in perspective. Our perspective/outlook is how we project our vibration. We do it through our hearts, our minds and our eyes. When we look at our world with optimism and happiness we look out from a place of alignment with an internal light source that is available to each of us. By projecting that light forward we get to see things others can’t see because they’re still trying to look through the dark. It becomes imperative to shed our light as we look out and begin to navigate the world. When we look out with a pessimistic perspective it’s like stumbling around in the dark, we trip over obstacles, we become immobilized in fear; afraid to make a wrong move in case we fall into an unseen abyss. When we think, observe and participate in life with a positive frame of reference we initiate a vibration that ripples out and begins to attract to it all things that vibrate at a similar frequency. Like attracts like – this is the Law of Attraction! Unlike the laws of our legal system – these laws can not be broken. They always work and we always work with them. The only choice we have is work with them to our advantage or to our disadvantage! Choose to Cast a Light in the Darkness! Everything in our dualistic world has an equal and opposite force of energy – another law of physics that govern our reality. This means that within every perceived darkness is light, within every illness is health, and within every despair is hope. To change any manifestation into something else we have to hold the awareness and presence of the opposite force of energy. I meet many people who tell me they are positively minded and yet perplexed why they manifest negative things. Eventually I find that they are using their positive energy to positively believe in their inability to manifest change. Without being able to see the opposite of what we are getting in life we will never be able to manifest it. Reality is that both polar opposites co-exist in every moment in every manifestation. Free-will allows us to determine the direction of our attention – where attention goes energy flows. Every creation is a manifestation of energy. Shifting the energy changes the creation. Opportunities don’t fall from the sky… they are created by freeing up a quantity of energy that is currently being used in an opposite direction. Admittedly we don’t always understand how that energy got freed up but we also don’t know what is happening when we shift our attention. The Butterfly effect illustrates how everything in our universe is constantly changing and everything is connected. Energy may be latent, dormant, dense or heavy but it is still present. 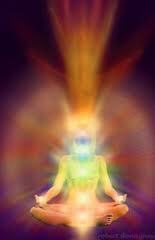 The very same energy can be transformed by directing positive energy and light at it. When we introduce a vibration of light, joy and ease at any condition we allow the opposite force to be released in the direction of our intention. For example – light focused on dark creates light, joy focused on sadness creates joy, and ease focused toward dis-ease creates ease. Or consider it this way… A match in a dark room lightens it…a smile is infectious…and relaxation releases tension. In each of these understandings we see how energy applied with intention releases available energy within the old system and creates a different outcome. Struggle, conflict, arguments, worry and pain require vast amounts of energy to maintain them; energy that thereafter won’t be available for anything else. The more energy we invest in a struggle the harder it becomes to get out of it! Love is the highest vibrating emotion we can experience. It works like a tonic to relieve all that ails you. So love your challenges, forgive your enemies, and in all ways stop feeding the source of your problems with your negative expectations and vibrations. Remember like attracts like and it is your choice to set out a vibration of harmony or dissension, emptiness or fulfillment, lack or abundance. What you send out gathers momentum and attracts more energy of its own kind and returns to you in greater force. So brilliantly put as always Andrea…Thanks thanks thanks! Nice one Andrea … I really needed to be reminded of this and it came at the right time. Thanks. Happy to provide it! I love right timing…thanks for reading! Be Colourful, Generous and Loudly Grateful! It’s Autumn!